Work carried out on residential, domestic and commercial type properties. All work undertaken by ourselves is issued with a full written guarantee on completion. No deposit is necessary on any work undertaken. Ross's Roofing are able to offer a wide selection of flat roofing options ranging from the traditional hot bitumen sealed felt with mineral chippings which is currently the most common flat roof surface with a lifespan of 10-12 years. All tiled roofs have a lifespan of around 15-20 years. 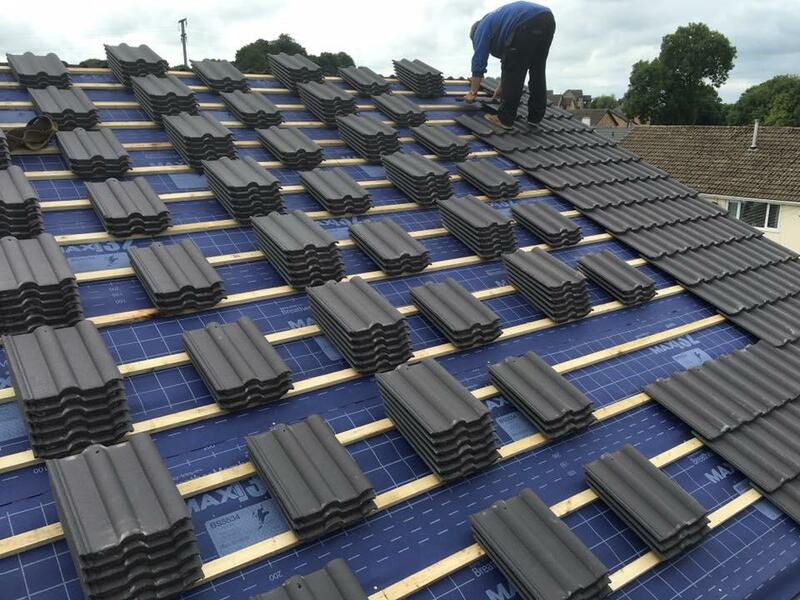 Sometimes keeping on top of maintenance i.e replacing broken or damaged tiles, repairing lead work or re-pointing ridge tiles and valley guttering can prolong the lifespan of your roof. Seamless Guttering - This new method is a continuous length of guttering. 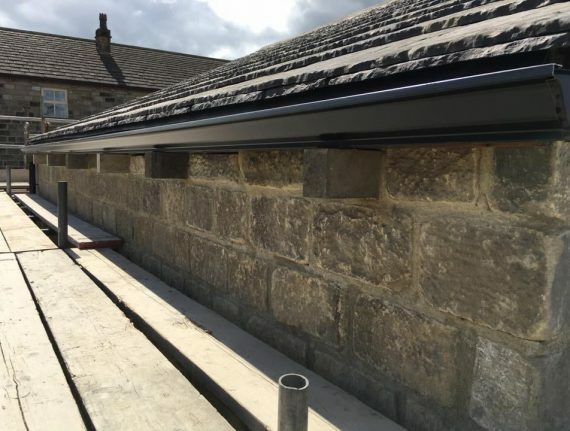 It is rolled out of the back of a gutter forming machine using stainless steel rollers which forms the guttering on site to exact measurements to fit your property. Roofers in Colne, Nelson, Burnley, Accrington, Blackburn, Preston, Rawtenstall, Bury, Manchester and all other surrounding areas in the North West of England. Ross’s Roofing stands out from the competition due to personal self satisfaction of excellent quality and personal roofing services we provide. We can assist you with a same day quotation service, any enquiries large or small. Our staff members are fully qualified and excellent attention to detail is something we provide on every project. 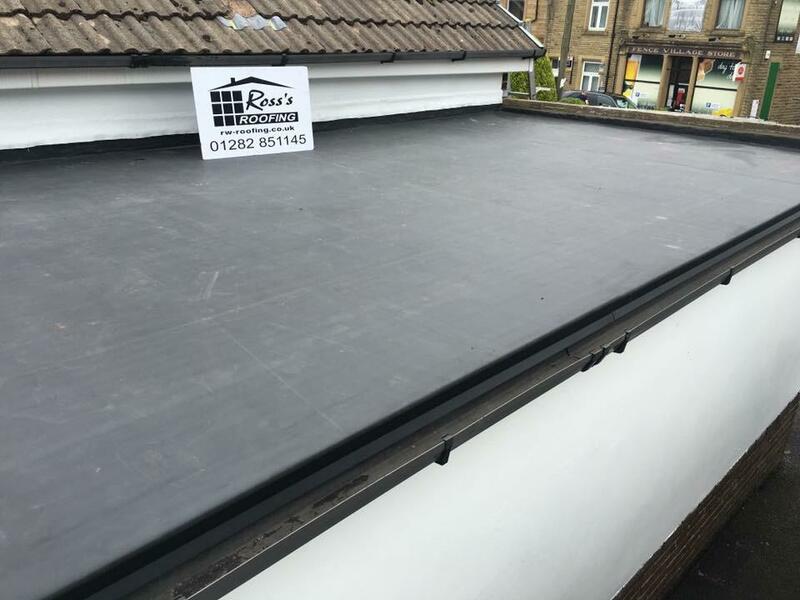 Starting out with free estimates and advice, Ross’s Roofing offer an affordable yet high quality service undertaking both DOMESTIC AND COMMERCIAL Contracts. All our work carries full public and employees liability insurance. Specialist in all types of roofing from a slipped slate to a full reroof. The large range of services we provide, which are all carried out by our own skilled staff, enables us to ensure that your project is completed to the highest possible standard with the minimum of fuss. Ross's Roofing prides ourself as the leading roofing specialists across Lancashire and Yorkshire. Since 2002 we have built up a great reputation in the local area due to the quality of workmanship, honesty and reliability. After needing a new roof on my cottage in Barrowford I was more than happy for Ross to proceed. Fast, efficient and has done an outstanding job matching the natural stone slate into the roof. Very clean after the job was finished, overall really happy with the work. I thought the service was great, very friendly & honest & came at a great price. Would use you again & recommend you to others. I would like to thank Ross and his workers for my roof they repaired. Not only was they the most competitive quote i received but also i understood everything that was taking place. I would highly recommend to family and friends, thankyou. Quick, efficient and excellent communication. Was recommended from a job Ross had done for a friend, very happy and will be having more work done in the summer. Ross’s Roofing prides ourself as the leading roofing specialists across Lancashire and Yorkshire. Since 2002 we have built up a great reputation in the local area due to the quality of workmanship, honesty and reliability. © 2018 Ross Roofing. All rights reserved.